Light gray sofas make an awesome addition to nearly any living room. 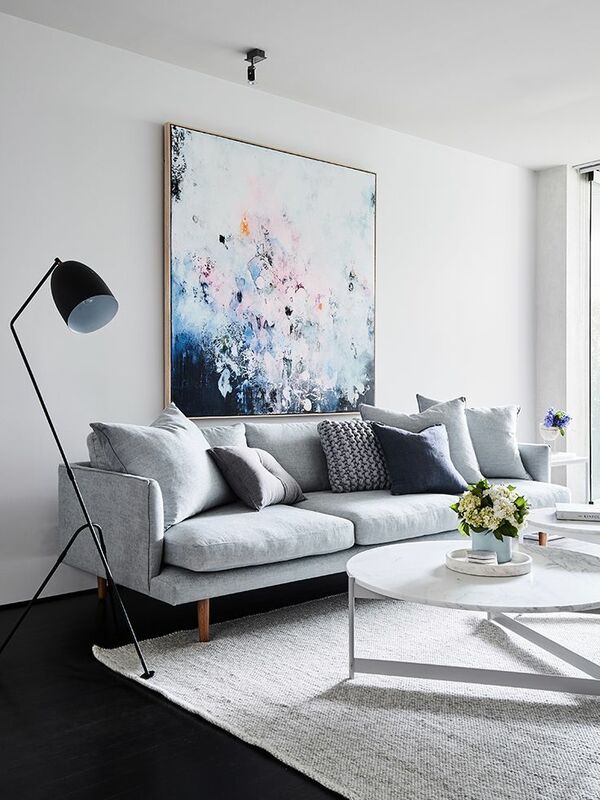 Their neutral color makes them easy to blend in with your favorite decor theme, but they are especially associated with Scandinavian interior design. 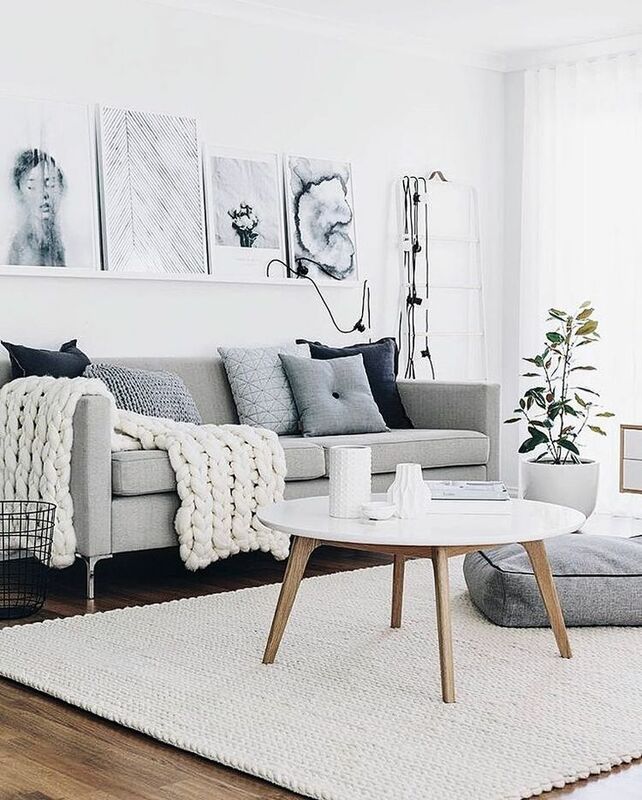 A minimalist living room would do well with a pale gray sofa. This light gray toned sleeper sofa is perfect for hosting guests. Keep in mind, the back isn’t finished so you’ll have to place it against a wall! At less than $300, this is our favorite affordable light gray sofa. This two toned sofa is made with a mix of velvet and linen. 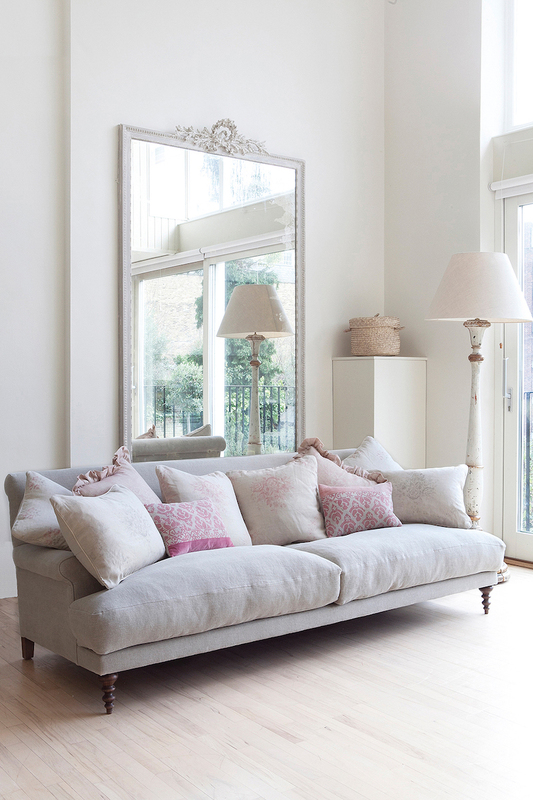 It’s curved arms and wingback style give it a feminine feel. 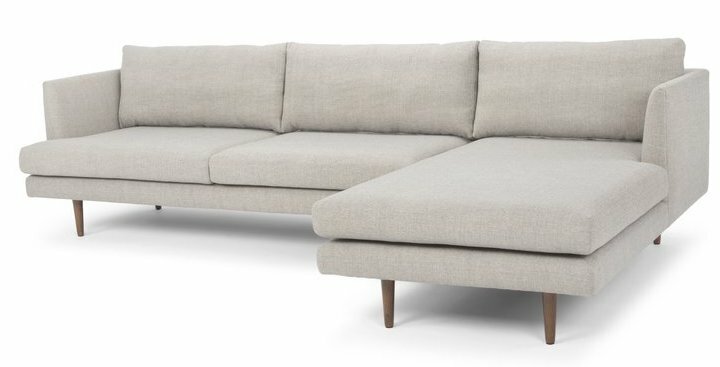 At less than $700, this sofa is the perfect balance between quality and affordability. 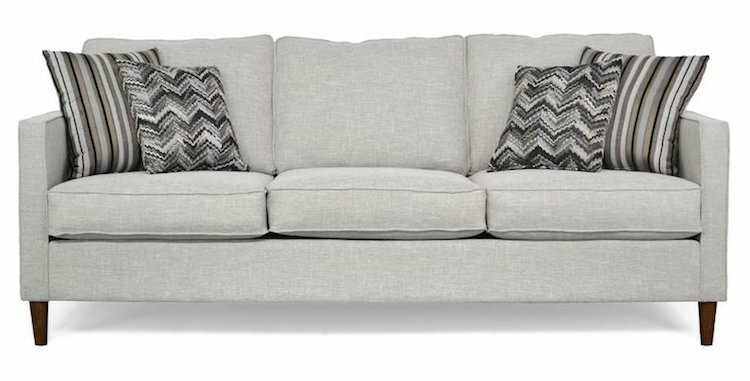 It’s a three seater with clean lines made in a beautiful polyester light gray weave. This gently rolled arm sofa is part contemporary, and part traditional. Its rounded corners and turned legs with casters give it character while the simply straight outline give it a contemporary feel. 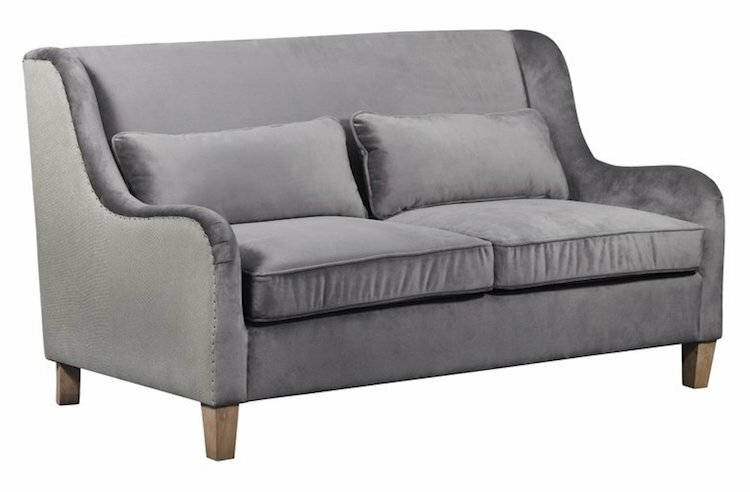 This velvet gray sofa has stellar reviews and I would put it in my living room without hesitation! At just under $1,000 it’s definitely an investment piece, but hopefully won’t break the bank! 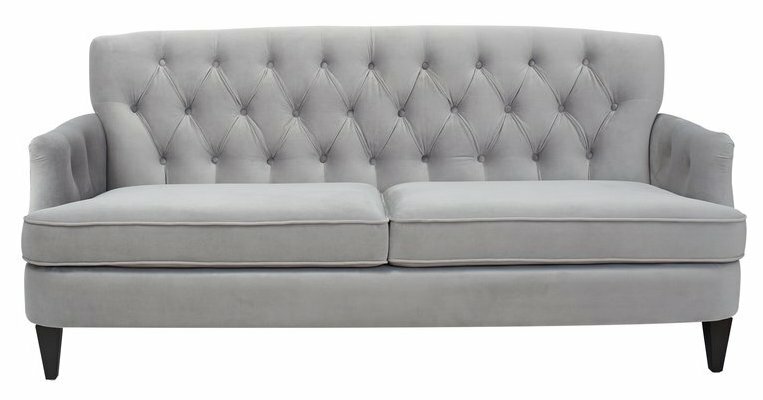 If you’re looking for a solid tufted light gray sofa, then this highly rated 6+ foot long sofa is for you. This Scandinavian light gray sofa has clean lines and a warm wood base. I love the modern feet of this sofa, which make this sectional sofa look so much more expensive than it is! It has a clean and minimal design, allowing you to style it as you like!